Jacques Dixmier's parents were both school teachers. His father taught languages, French, Latin and Greek. Although Jacques was born in Saint-Étienne, near Lyon, he wasn't brought up there since his father was employed in schools in different towns and, of course, the family moved. From Saint-Étienne they moved to Rouen and then to Lille. In 1933, when Jacques was nine years old, the family moved to Versailles. His father was a professor at the Lycée in Versailles while his mother taught at the elementary school there. Even there I had a very good teacher in mathematics. After his baccalaureate, Dixmier remained in Versailles to prepare for his university studies in mathematics. His father advised him to study engineering but Dixmier had his heart set on mathematics and his mother supported his plans so his father, slightly reluctantly, agreed that he could aim at being admitted to the École normale supérieure. He spent two preparatory years, the mathématiques supérieures year and then the mathématiques spéciales year, studying in Versailles. I followed [Julia's] course in 1943 during my first year at École Normale. Julia gave a course every year in advanced mathematical analysis. This sort of course ... was too difficult for us students. But we were very anxious to have a diploma as soon as possible because of the war; you did not know what could happen in a few months! Julia was an extremely good teacher and we understood him. In fact the level of his course about Hilbert space was not very high but we understood almost everything. As a result, Hilbert space became for me as familiar as ordinary space. That was certainly the reason for my research orientation later on. It is very important to be completely familiar with the basics of your subject. ... reduced to nine during the second year, because of the hardships of the war and also because in the second year he taught only the students who had chosen mathematics as a major. After consulting the class, he decided to teach a course on Lie groups. There is something which concerned me personally that I still do not understand. I was in the École Normale Supérieure doing something that was probably illegal. I heard some noise but I did not know what had happened. So, I went to the entrance of the École Normale Supérieure. Two officers of the Gestapo were there. They shouted out and I was taken completely by surprise. They fired and I don't understand how I was not wounded. They took me and I was sent to detention in an office. The director of the École Normale, Georges Bruhat (the father of Yvonne Choquet-Bruhat and François Bruhat), was not present and neither was Jean Baillou, the general secretary of the École Normale Supérieure. Their wives, however, were present and the Gestapo took Mrs Bruhat and Mrs Baillou hostage. The next day they released the students, including Dixmier, and Mrs Bruhat and Mrs Baillou but took Georges Bruhat and Jean Baillou prisoner. They were deported, and Bruhat died at the Buchenwald concentration camp. I think he was a very good mathematician. ... He was not an easy person. As you probably know, he was politically at the extreme right and hoped for a German victory during the war. I was certainly inspired by some of the things he had told us - generally speaking, on Hilbert space. In my thesis, I studied some particular subspaces, non-closed but not arbitrary - very special subspaces; my entire thesis is concerned with this class of subspaces. He published his first paper Les idéaux dans l'ensemble des variétés d'un espace hilbertien Ⓣ in 1946. In 1946-47 he continued to work at the Centre National de la Recherche Scientifique and was helped in his research by Roger Godement. Although both had been students at the École Normale Supérieure, Godement was two years older than Dixmier and they had not known each other at that time. However, Godement now was a great help to Dixmier, telling him about unitary representations and showing him results on this topic which he had proved but had not published. We travelled a lot and travelling by train from Paris to Toulouse was not easy at all in 1947. The bridge over the Loire at Orléans had not been completely repaired. One day in 1949, Serre and Samuel, who both knew me, approached me and asked whether I would accept becoming a member of Bourbaki. At the time, this was extremely flattering; I jumped at it! The number of students was enormous. I held my courses in a place called Conservatoire des Arts et Métiers; there was a big auditorium. During the first 2 or 3 years, I had 500 students. He spent the rest of his career in Paris. Dixmier wrote some excellent books. These include: Les algèbres d'opérateurs dans l'espace hilbertien: algèbres de von Neumann Ⓣ (1957); Les C*-algèbres et leurs représentation Ⓣ (1964); L'intégrale de Lebesgue Ⓣ (1964); Cours de mathématiques du premier cycle Ⓣ (1967); Cours de mathématiques du premier cycle. Deuxième année Ⓣ (1967); Algèbres enveloppantes Ⓣ (1974); and Topologie générale Ⓣ (1981). Extracts of reviews of these books may be seen at THIS LINK. It is a great pleasure to review a work of such excellence and which has done so much to promote the formation of this new branch of mathematics. For the graduate student it is a masterpiece of pedagogical writing, being succinct, wonderfully self-contained and of exceptional precision. In fact these books give a good indication of the areas to which Dixmier made important contributions, namely operator algebras, von Neumann algebras, C*-algebras and unitary representation theory. Later he worked on enveloping algebras and finally on invariant theory and partition theory. MathSciNet lists 187 published items for Dixmier (up to 2014). There his main areas of research are given as 'Functional analysis', 'Nonassociative rings and algebras', and 'Topological groups and Lie groups'. I have certainly a philosophy [about lecturing] that differs from most of my colleagues. In order to make good talks, I prepared them word for word. Most of my colleagues think that this is a far too formal attitude, that you have to rely on inspiration. I do not believe that at all. I have often heard the opinion that it is good to get stuck; otherwise students do not understand that there is a real difficulty. I must say, I do not agree at all. I was usually very careful to write in big letters, to avoid talking into the blackboard and so on. I really wanted to be different from Arnaud Denjoy; it is said that, during a lecture, he thought a, he said b, he wrote c, and d would have been correct! In fact, when I was a student at the École normale supérieure, during my second year, I tried to follow a course given by Denjoy. After the second lecture, I left; it was hopeless for me. Well, not for everyone; Gustave Choquet was a pupil of Denjoy. I know that the written work of Denjoy is very good. But as a teacher, he was terrible. For written text, I must admit that I like the Bourbaki style! For years, you've been hearing about quantum mechanics, a major 20th-century discovery, so certain terms have become familiar and they stir your imagination: wave functions, particle interaction, uncertainty principle, Feynman diagrams. At times, you find yourself dreaming about whimsical photons, disturbing experiments and their unexpected results, but you don't have the time to spend hundreds of hours on difficult mathematical and scientific studies that, at best, would make you understand the relevance of Richard Feynman's quip: "If you think you understand quantum mechanics, you don't understand quantum mechanics." But this book offers a quick and entertaining look into this magical universe. It gives you a front-row seat in the quantic theatre, and you'll be amazed at what you see. .. for his books "von Neumann Algebras (Algèbres de von Neumann)" (1957), "C*-Algebras (Les C*-Algèbres et leurs Representations)" (1964), and "Enveloping Algebras (Algèbres Enveloppantes)" (1974). 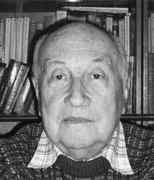 The Émile Picard medal is awarded to Jacques Dixmier for the whole of his work collecting into a major synthesis the analysis of operator algebras of von Neumann with the algebraic theory of enveloping algebras, allowing the current progress in the theory of quantum groups. Author of books used for decades in France as well as Russia and the United States, Jacques Dixmier has been for thirty years at the University Pierre and Marie Curie a generous head of the school, who has promoted theses that are landmarks.